Volunteer Now for Summerfest 2017! In 1983, MASH ended an 11-year, 251-episode TV run, Vanessa Williams became the first African-American crowned Miss America and McDonald’s introduced the Chicken McNugget. Did you know ‘83 was also the year a group of Virginia-Highland merchants – led by late Atkins Park owner Warren Bruno – got together and threw a block party that would eventually become Summerfest? Yes, it’s really been 34 years since the first Summerfest, and organizers are hard at work planning this year’s festival set for the weekend of June 3. Featuring a 5K Road Race and Tot Trot, one of the largest juried artist markets in the South and a variety of local, regional and national acts performing on the music Summerfest stage, our festival has become one of Atlanta’s most eagerly anticipated seasonal events. Volunteering is a great way to meet new friends and reconnect with old ones, and also help ensure the success of VHCA’s biggest fundraising event of the year. Volunteering can be a great way for high school or middle school students to get service hours. You can even sign up for multiple shifts if you like (and many do). Encourage your friends and neighbors to volunteer. Come join in the fun and go home with the coveted volunteer t-shirt! 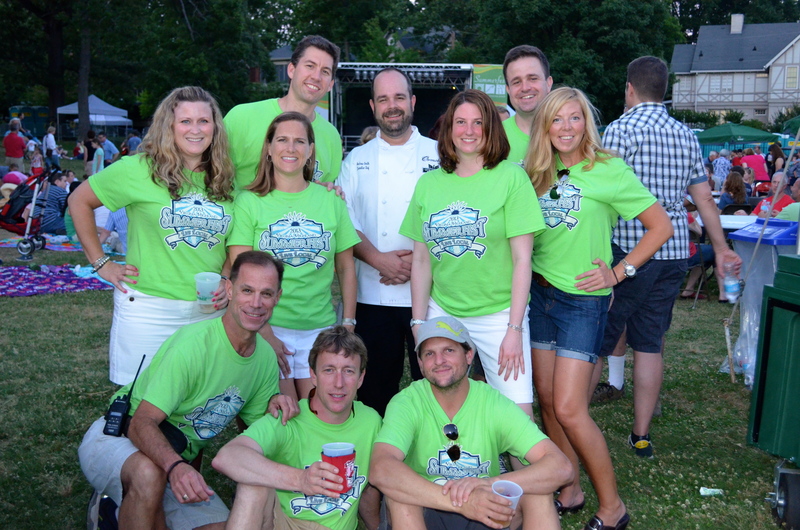 Click here to access the Summerfest area on VolunteerSpot. Review the different tasks and shifts listed and identify the tasks/shifts that work for you. Sign up – it’s easy and you won’t have to register or leave a password on SignUp.com. Have questions or need more information? Contact volunteer coordinator John Becker at jnbecker@me.com. Please don’t delay – volunteer today! We look forward to seeing you in June! John Becker is a past VHCA board member and serves as Summerfest volunteer coordinator. 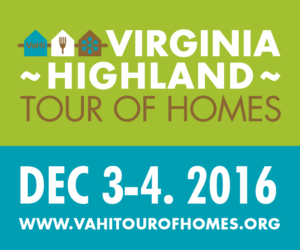 Volunteer for VaHi Tour of Homes and Receive Two Free Tickets! This is an excellent deal. We have eight very interesting homes on tour this year in VaHi on Dec 3-4, and anyone who volunteers for a 2-3 hour shift gets two free tickets—up to a $60 value. The rest of the weekend is yours to tour the eight homes for free—not to mention sampling mouth-watering dishes from neighborhood restaurants, because each home on Tour also has a restaurant sponsor! With your 2 free tickets, take your spouse, partner or friend on this wonderful Tour of Homes right here in VaHi. Nibble while you look around at the creative renovations that VaHi families have recently engaged in. It’s always interesting to see what other families have done to improve their homes, and many visitors over the years have gotten ideas for their own home renovation projects. It’s an experience that is yours for free all weekend in exchange for just one 2-3-hour shift. As you’ll read in a future Voice article, the Tour also brings in much-needed funds that benefit all of us. So please do your bit to help make this happen. It’s just a few hours of your time, and without our volunteers, the Tour simply could not happen. Again, here is the link to sign up. Thank you for your support, and enjoy the Tour. Organizers man the volunteer check-in table during a recent Tour of Homes. 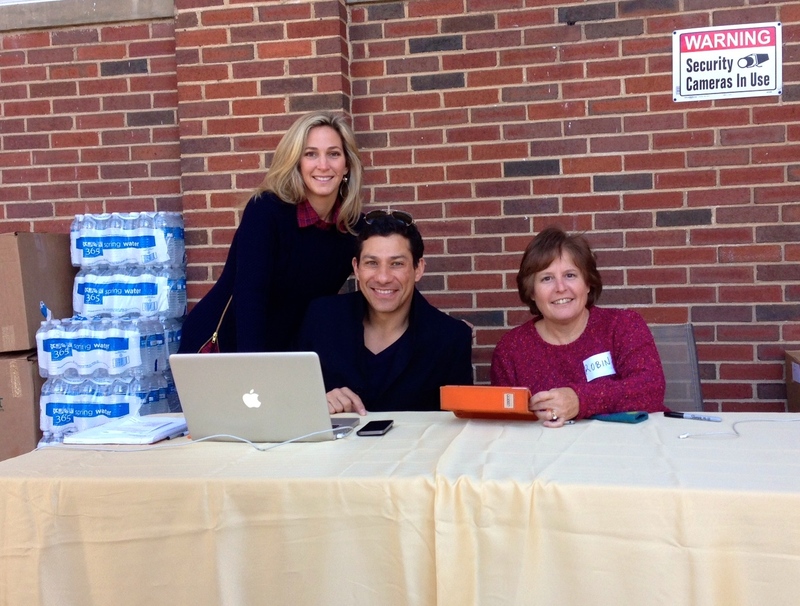 One of the most helpful things you can do for your neighborhood is to volunteer at the Tour of Homes. It benefits you, too. You get two free Tour of Homes tickets for working one shift in one of our beautiful neighborhood homes. And it’s also a great opportunity to meet other neighbors who will be working along with you. This year’s Tour of Homes is coming up on December 3rd and 4th. Signing up to volunteer is easy. Just go to vahitourofhomes.org/volunteer and click on the green “Click here to sign up” button. We especially need volunteers for the afternoon shifts and for Sunday. Volunteers working later shifts can pick up their tickets at John Howell Park anytime during tour hours Saturday and Sunday and can go on the tour before their shift. If you can’t volunteer, be sure to buy tickets and encourage your friends and neighbors to do so. Our combination of wonderful homes and delicious food tastings is unique! Tickets are available at www.vahitourofhomes.org/tickets. 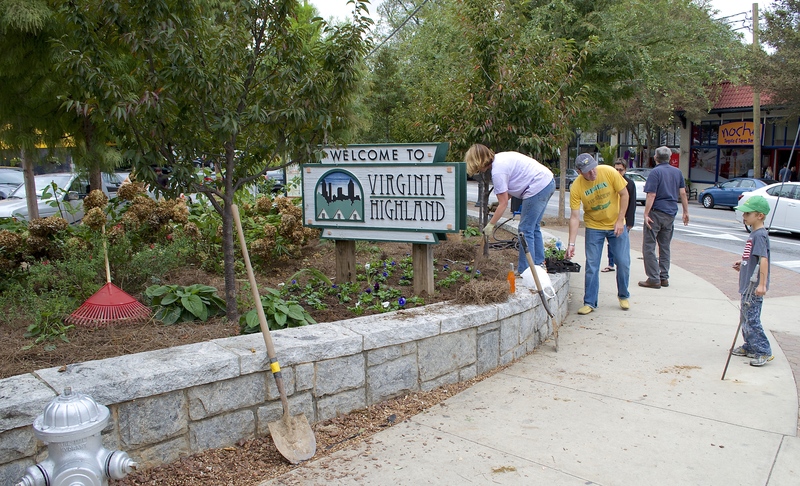 I’m not sure if all who live in the neighborhood know how much the Virginia-Highland Civic Association (VHCA) does to help maintain the quality of life we all enjoy. That’s OK – we’re all busy and some are new to the area and have never heard of VHCA. We’re a group of volunteers and we could use your help. Actually it’s really rewarding but can be so much more so if the workload is distributed across more engaged and talented residents. From the amount of comments one sees on social media channels for our neighborhood, there are many who care a lot about what’s happening around them. We’d sure like to see that positive energy and concern channeled into action! Peggy Berg chairs it and in case you didn’t know, she is our sidewalk hero! But there are so many influences on safety and Peggy could use some help. There’s criminal activity, homelessness, appearances that may influence safety (keeping trash picked up and graffiti removed), VHCA’s support of the Neighborhood Watch Street Captain program, traffic/lighting/signage, communication with our elected officials and APD, and more. Reach out to safety@vahi.org. This committee is very important and we’re losing one of the neighborhood’s most treasured volunteers (to Poncey-Highland and aren’t they lucky! ): John Becker, who’s served as Communications Chair (among other things) for the past three years. As a result of the efforts of many including John, VHCA communications are a best-in-class example of how it should be done. Our website, newsletter and social media communications are effective and important. We’re looking for someone to act as committee chair and others to fill out the committee. These volunteers will need to help steer our communications strategy, update our WordPress website, write and edit articles, manage ad sales and placement, send out the newsletter, tape and upload the board meeting videos and other tasks. If you’re interested in helping with this committee, reach us at communications@vahi.org. A key reason that our neighborhood is so effective at maintaining our culture is our funding. We are able to hire consultants on planning, traffic and development issues; we receive grants to match the funds we put into our parks (see recent JHP improvements); and we give grants to our schools and local non-profits. We plan and execute both the Tour of Homes in winter and Summerfest in the summer; this work is time-intensive but certainly rewarding both in terms of experience and monetary gains for the neighborhood. Both committees need help! Tour of Homes is looking for a volunteer graphics person and someone to help sell sponsorships. Summerfest will need many volunteers so sign up at https://vahi.org/summerfest/volunteers. To get more involved with Summerfest, email summerfest@vahi.org or for the Tour of Homes email angelikataylor@me.com or robin_ragland@bellsouth.net. This committee does a good bit of scanning and filing and could really use help from someone who has a passion for history. We have 100 gigs of historic images and documents and many physical items that need organizing and attention. When better managed this can become a resource for the entire city of Atlanta as we’ll share it with the Atlanta History Center. If you’re interested in helping, you can reach us at preservation@vahi.org. Many city officials personally – lots of whom are professional and energetic and care a lot. How many guns were stolen out of cars in our neighborhood this year so far – 7! Where the Todd Cemetery is and its history – you can visit it, too. What a “quatrefoil” is, and where it appears architecturally in our neighborhood. That the state stream buffer protection line is 25’ and the city stream buffer protection line is 75’. Many folks that have contributed to things I enjoy – John Howell, Jerry Bright, Tinka Green (who we sadly lost recently), the Coffins, Warren Bruno and so many more. How nice the folks at Open Door Community are. How many neighbors routinely do a lot of thankless tasks that produce a much more liveable community. How city planning constantly evolves, and how hard it is to anticipate the impacts of land use decisions. That there aren’t near enough fields left in VH for our kids to go play on, with or without adults present. A little more about Robert’s Rules of Order. That Winnie Currie is from the mountains of Appalachia and worked at Sears for years and bought a house in VaHi when many were afraid to and told her she was crazy to do so. How many structures, addresses, and people there are in VH. That there used to be an attack goose owned by one of two feuding neighbors – the goose attacked the neighbor almost daily. Who started VHCA, why it was started, and what highways had to do with that. That Nass Almeleh paid 50 cents for a beer at Atkins Park as long as he lived – no matter what the price of beer was at the time. The difference between Green B. and George W. Adair. That Rooster Foot Alley must have been really cool and I need to find descendants of people who lived there. That the top of Atkin’s Park Tavern is the house that was on that lot but was raised a story when the bar (that started as a deli) was built below it. That we should start a VaHi Trivia game as part of Trivia at George’s! If you’re not sure what you’d like to do, reach out to board@vahi.org and someone will get back to you. Better yet, attend a planning or board meeting and you’ll start to get a feel for what we all do. Meeting schedules can be found on vahi.org. 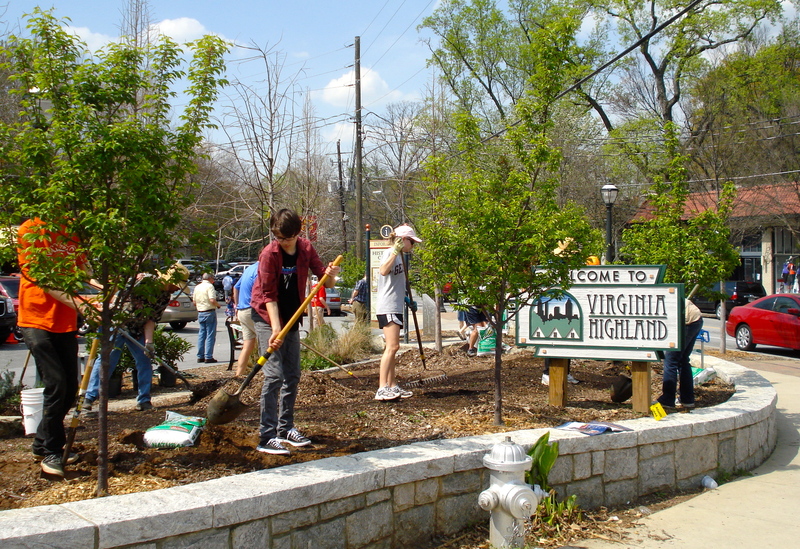 A general clean up of the triangle island at Virginia and N. Highland avenues, including some light maintenance and flower planting, is scheduled for this Sunday May 5 and organizers are looking for volunteers to help. Volunteers should meet at the triangle this Sunday at 1 pm and bring garden gloves (if you have them) and a water bottle. No RSVP is necessary. Contact organizer Nonie Daniels at info@noniesgarden.com with questions, comments or suggestions. April is Community Service Month for Starbucks globally, and here in Atlanta the iconic beverage vendor’s teaming up with Atlanta Public Schools to do some sprucing up at Grady High. The event will be held April 27th from 10:00 AM – 6:00 PM. “We’ll be doing some clean-up, painting and landscaping at the school,” says store manager Leigh Armstrong. Coffee, breakfast and a light lunch will be served to volunteers, according to Armstrong. Armstrong says they’re shooting for 700 volunteers. Click here for more information or to register online. The Intowners real estate group (Julie Sadlier, Sandy D’Aprile and Peter Bade) is once again sponsoring an area in Kidsfest at Summerfest where children will be able to participate in painting a mural. 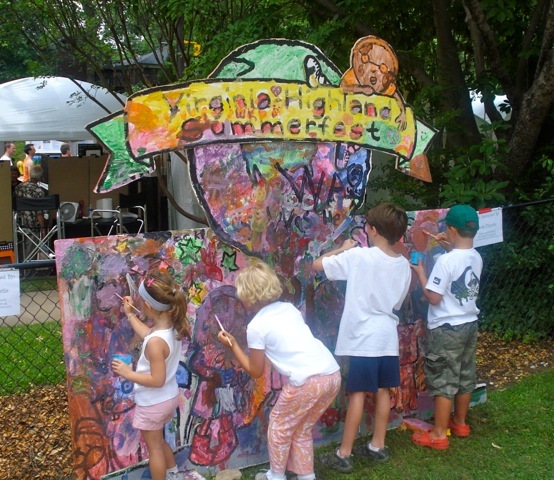 Painting the mural has become a Kidsfest and Intowners tradition, and the VHCA is thrilled that Sadlier, D’Aprile and Bade have once again chosen to sponsor the activity. The design should support the festival’s overall theme of “Down on the Farm.” By this we mean the scene should include animals, characters and objects commonly found on a farm. The words “Summerfest – Kidsfest 2013” should be incorporated into the design. Mural dimensions are 10’ wide and 3’ tall. Drawing should be done in black line art only (like a coloring book). Art work must be converted to eps or pdf format so it can be enlarged as necessary for printing. If you are interested in helping out with this most important Kidsfest activity and receiving a coveted volunteer t-shirt for your efforts, please contact Sandy D’Aprile at sdaprile@bellsouth.net. Sign Up Now – Volunteer for Summerfest 2013! 30th Anniversary Festival Set for June 1&2! In 1983, MASH ended an 11-year, 251-episode TV run, Vanessa Williams became the first African-American to be crowned Miss America and McDonalds introduced the McNugget. Yes, it’s really been 30 years since the first Summerfest, and organizers are hard at work planning this year’s festival. Featuring a 5K Road Race and Tot Trot, one of the largest juried Artist Markets in the southeastern US and a variety of local, regional and national acts performing on the Music Stage, Summerfest has become one of the most popular of Atlanta’s seasonal festivals. With the addition this year of a Farmer’s Market, the 30th anniversary event is sure to be one you won’t want to miss. 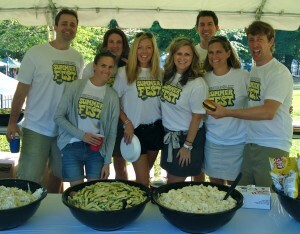 The only way to get more out of your Summerfest experience than simply attending is to volunteer. If you’re receiving this email you’ve either helped us in previous years or expressed an interest in getting involved. Please support our incredible community by donating a few hours of your time at this year’s festival. Volunteering is a great way to meet your VaHi neighbors and help ensure the success of the civic association’s biggest fund-raising event of the year. Volunteering can be a great way for high school or middle school students to get service hours and some of our best Kidsfest volunteers have been teenagers. You can even sign up for multiple volunteer shifts, if you like. Encourage your friends and neighbors to volunteer. 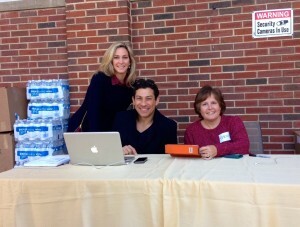 Come join in the fun and go home with the coveted volunteer t-shirt! We’re using VolunteerSpot again this year to help us organize volunteers – click the button below to sign up today! Don’t see the volunteer link below? Go to vols.pt/Xkk3qX. For more information on volunteering, visit vahi.org/summerfest/volunteers/ or contact volunteer coordinator John Becker at jnbecker@me.com. For more information on Summerfest, visit vahi.org/summerfest and don’t forget to like us on Facebook at facebook.com/vahisummerfest. Thanks in advance for your support and we look forward to seeing you in June! Interested in investing some time giving back to this wonderful in-town community that means so much to all of us? If so, we’d like to hear from you. 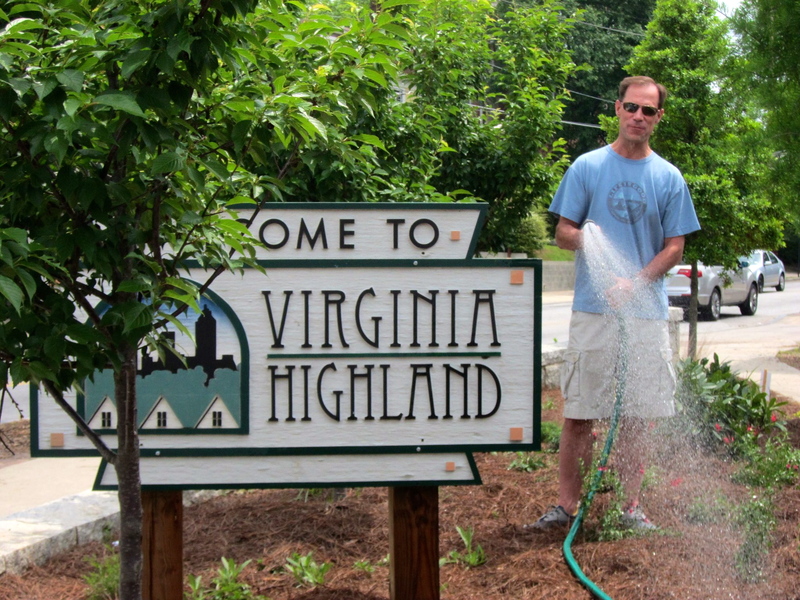 The Virginia-Highland Civic Association (VHCA) has much work to do and volunteers are needed! If you’re not familiar with the VHCA please visit our website at vahi.org to learn more about our neighborhood, the association and the many ways you can get involved. Following are two current immediate needs but volunteers of all interests are always welcome. For more information or to volunteer, email board@vahi.org. 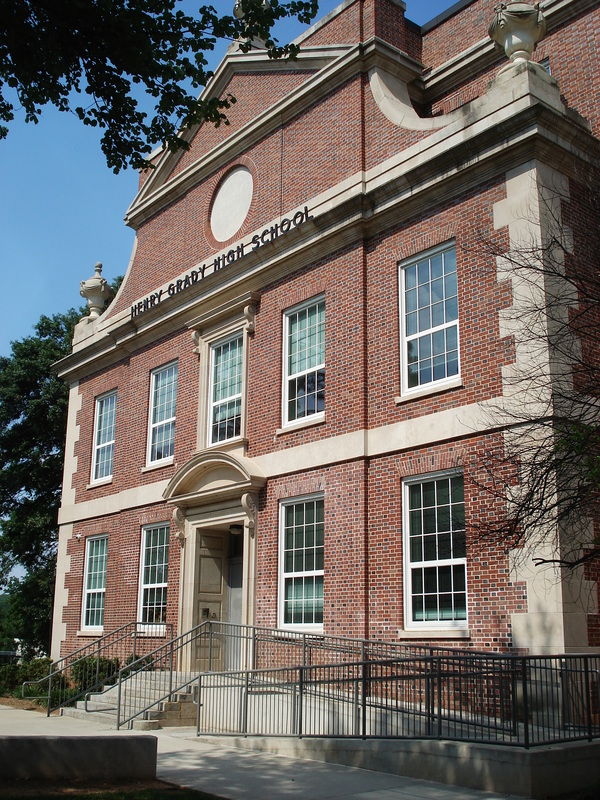 • The Historic & Preservation Committee is currently searching through old civic association documents, organizing them and digitizing as much as we can. We’d love an organized, tech savvy volunteer to take on this task. If you’d like to learn more about the committee and its goals look us up at https://vahi.org/planning/preservation/ or email us at preservation@vahi.org. I can say from personal experience that working with the association and its board and committee members of the VHCA is a rewarding experience. As a group, those who volunteer are fun to be with and inspiring, and the organization’s goals and achievements are worthy. Thanks and we look forward to hearing from eager volunteers.